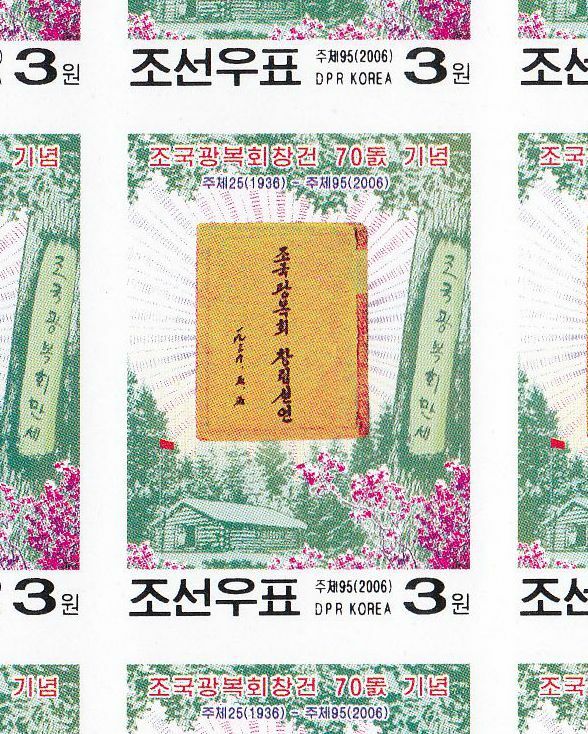 L4618, Korea "Association of Fatherland", Sheet of 21 Pcs Stamps, 2006 Imperforate. MNH, Imperforate. 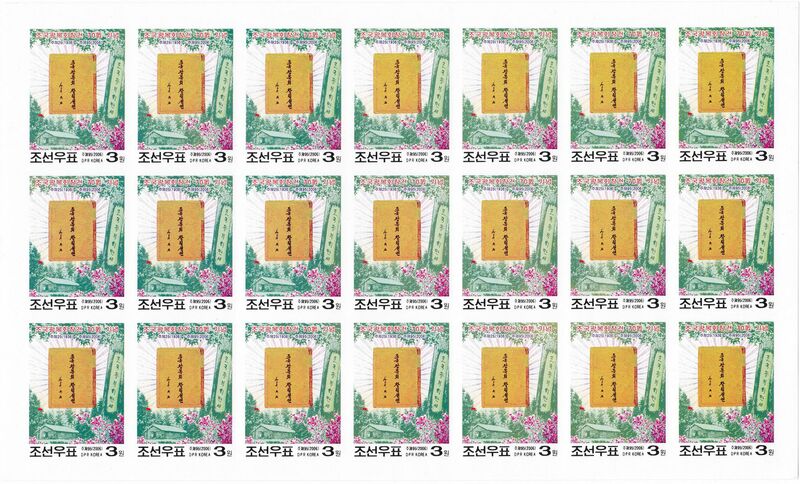 1 Pcs large full sheet with (3*7) 21 pcs stamps. The full name of the stamps is "80th Anni. Association of Fatherland".